Title Sponsors Stripe-A-Zone and the Rotary Club of Arlington thank all sponsors for helping create a successful Arlington Heroes Run in 2018. Special recognition is due to Captain Level sponsors Di Sciullo - Terry Stanton and Associates and Baylor Scott and White Orthopedic and Spine Hospital of Arlington as well as all the sponsors shown below. We meet for lunch and fellowship on Thursdays at noon at the First United Methodist Church of Arlington on the corner of Center Street and Division Street. Let's build goodwill and better friendships! 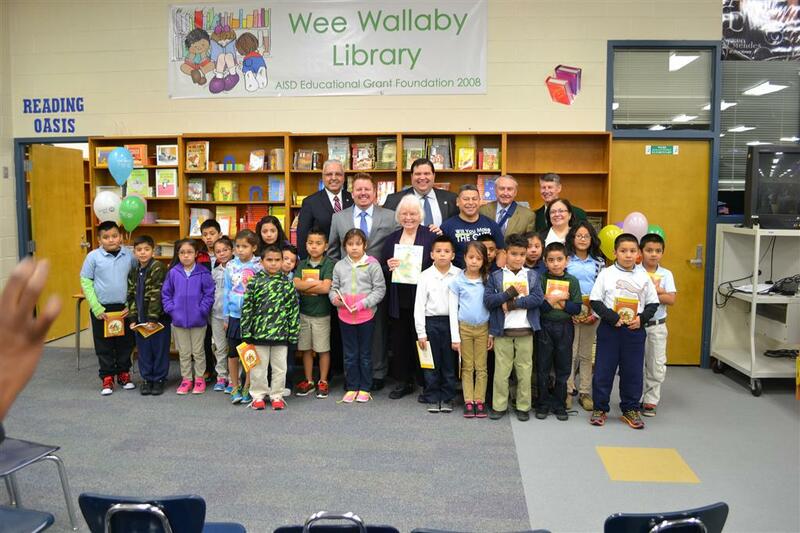 Two local schools dedicate their Reading Oasis thanks to the United Way and Rotarian Lisann Peters.